When you are on the go, it is not always easy to find a place to, “Go”. That is why many people choose to carry along their bathroom when they are traveling. When you are on a trip in the great outdoors, you can take along your porta potti and do what nature deems is necessary. 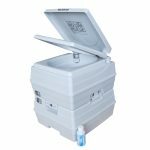 To find out whether you should choose to have a bathroom that goes along wherever you do, you should read our Thetford porta potti 550E portable toilet review. 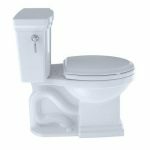 One of the best features of this porta potti is that you will not feel as though you are sitting on a portable toilet, such as the Luggable Loo. 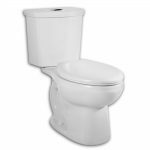 It is a comfortable height and has a larger bowl size than most portable toilets. 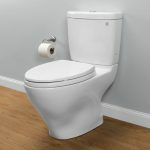 There is also an integrated toilet paper holder so that you can have everything that you need within easy reach, regardless of where your adventures may take you. It is battery powered. 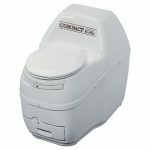 The battery powered flush controls and the toilet paper holder are hidden away so that you have a sleek looking porta potti that stores away nicely. There are easy to view tank level indicators on it to show you how much fresh water and waste water you have inside of it. This takes out a lot of the guesswork that many people have to deal with. It is sanitary and leak proof. There is no odor to worry about, even after you have used it a few times. There is a strong water tank carry handle to make moving it around when full, easier on you. If you fill up the fresh water tank completely, it should flush approximately 56 times before you empty all of your clean water supply. It holds four gallons of water. The waste water tank can hold 5.5 gallons. The Curve’s is 17 5/8” tall when the lid is closed. It has a depth of 17 3/4” by 15 1/4” wide. This ensures that it can fit easily inside your vehicle, camper, tent, and boat. In fact, it will fit anywhere that you want to put it. 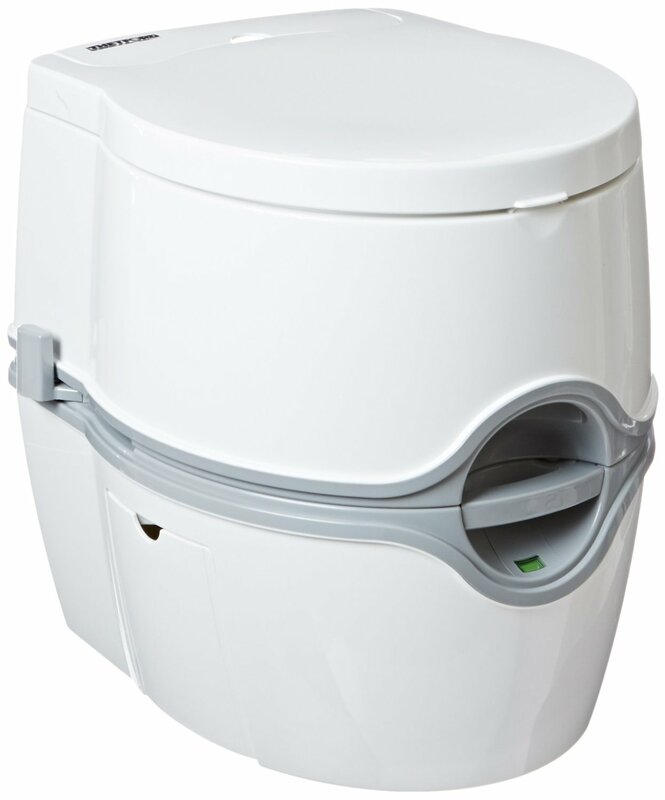 Out of over 400 reviews, this porta potti still holds an ﻿average rating of 4.5-star. This is because it is overall a great toilet. 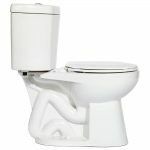 Users say it is great to use, even if you are a taller person and that it can hold even larger users. They like that it is able to stay in one place, though if you are worried, you can purchase securers to hold it in place. You do not have to clean it constantly, especially if you use chemicals to eliminate the odor. 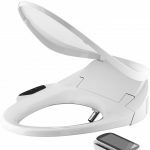 The battery powered flush means that you can flush with approximately a half of a cup of water and then it automatically refills to wait for the next time you need to flush. If there are things to complain about, it is that the lid is not able to double as a chair. The lid is kind of flimsy according to some owners. There is also an issue with it not working for a very long time. The pump is not very reliable according to some owners. Some owners warn that you should open the waste tank slowly, because if it has too much pressure in it, it could spew a little. 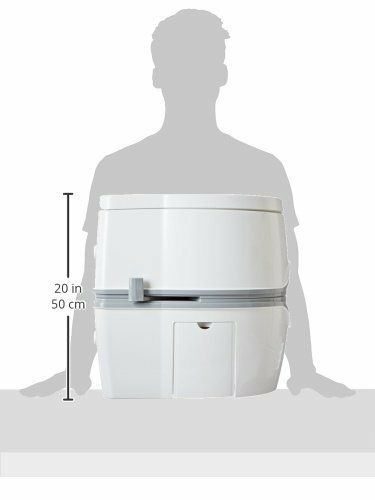 Will You Love This Porta Potti? 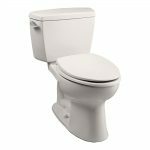 Overall, with as high a rating as this toilet has, it seems that most people feel it is an excellent choice for portable toilets. It is affordably priced and you can take it anywhere that you want to go. 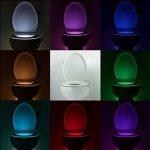 It can be used in your home if your power goes out, on your boat, when camping in the woods, or any other time when a true bathroom is not close by. 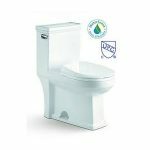 The key to success when using it is to make sure you have clean water for the fresh water tank, chemicals to keep the odor down in the waste tank, and a little patience when opening the waste tank to empty it.